Personal Training has been using so called High Intensity Intervals (HIIT) for a while now. But there are other ways of boosting your metabolism into gear in order to burn some fat. I am presenting in my eyes the top three ways of getting your metabolism going that our personal trainers use! 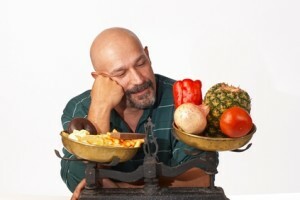 Nutrition: Yep, nutrition does play a crucial role in the maintenance of your metabolism. In order to digest protein the body has to spend more energy (about 25% of the ingested caloric value). We recommend a protein intake should be about 0.7-1g of protein/lb of bodyweight for a healthy person depending on goals. As an example a 160 lbs female looking to lose weight and working out 3 days a week would probably take in 112g of protein on off days and 130g on training days. Weight Training: In our sedentary world it is more crucial than ever to go and pick up some weights and train. The heaviest thing that I lift when I do not train clients is my 16 oz water bottle. That is not considered lifting weights (in case you were wondering)! Lifting weights based on a well designed training plan can help you gain necessary muscle mass or avoid losing muscle during your fat loss process. Each pound of muscle burns roughly 50 kcal. Does not sound like much? Trust me, it can make all the difference. General physical activity: This one cannot be overemphasized. Every movement helps. Go on hikes on the weekend, play with your children in the park, anything but sitting on your behind for too long. The more you keep moving the better. Buy a Fitbit, or another toy that keeps track of your activities and motivates you to move. You would not think it matters that much but it surely does. I for one started using a standing desk more frequently at work because I felt I was more and more stuck behind a desk than training clients. 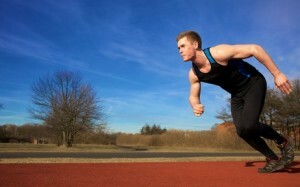 Look at it this way: A high level of general physical activity gives you a good base metabolism. The HIIT and weight training 2-3 days a week makes sure the metabolism stays high as you lose the weight. The nutrition makes sure that the muscles have the right nutrients and the digestive system is doing its part for your metabolism. One thing about nutrition. More protein is not necessarily better. If the protein intake is too high that can be stress on kidneys, etc. Please make sure that your nutrition is a balanced diet of unprocessed foods based on veggies, fruits, grass-fed meat, wild caught fish (careful with mercury poisoning). Though I don’t personally have dairy, legumes (beans, etc.) or grains I would go for the least processed products there as well if you choose to eat them. One of my clients recently pointed out (thank you Pam!) that not everyone necessarily knows what processed food is. We are talking about foods that come with a longer ingredient lists: Bread, Pasta, jam, processed yogurts. Be careful of low fat foods they often replace fat with sugar or artificial sweeteners in order to improve the taste. Simply put start cooking again. I know that is not very popular. We live in a society that goes to the bank without stepping out of the car, the same at the drug store to get the diabetes medication, going to the grocery store to get the stuff we bough online and then to eat “healthy” fast food off to Chick-fil-A. Total steps taken “0”. Looking at my environment every day, I made it my goal to help people be healthier. Nobody needs to have a 6-pack. But people should have a healthy weight and be reasonably fit. If you need help with any of those 4 ways, please let me know. I am looking forward to help you accomplish your goals!